According to the new Bill, giving instant triple talaq will be illegal and void and will attract a jail term of three years for the husband. New Delhi: Union Law Minister Ravi Shankar Prasad is expected to move the Triple Talaq Bill for consideration in the Lok Sabha on Thursday. The bill is aimed to replace the ordinance issued in September and make the practice of instant triple talaq a penal offence. The Lok Sabha was, however, adjourned till 2 pm amid uproar and sloganeering by the opposition over controversies on Rafale deal and Cauvery river water. The Muslim Women (Protection of Rights on Marriage) Bill, 2018 would supersede an earlier Bill passed in the Lok Sabha and pending in the Rajya Sabha. While the proposed law makes it a “non-bailable” offence, an accused can approach a magistrate even before trial to seek bail. In a non-bailable offence, bail cannot be granted by police at the police station. A provision has been added to allow the magistrate to grant bail “after hearing the wife”. The police would lodge an FIR only if approached by the victim (wife), her blood relations or people who become her relatives by virtue of marriage. “The legislation would help in ensuring the larger constitutional goals of gender justice and gender equality of married Muslim women and help subserve their fundamental rights of non-discrimination and empowerment,” as the per new bill’s Statement of Objects and Reasons. 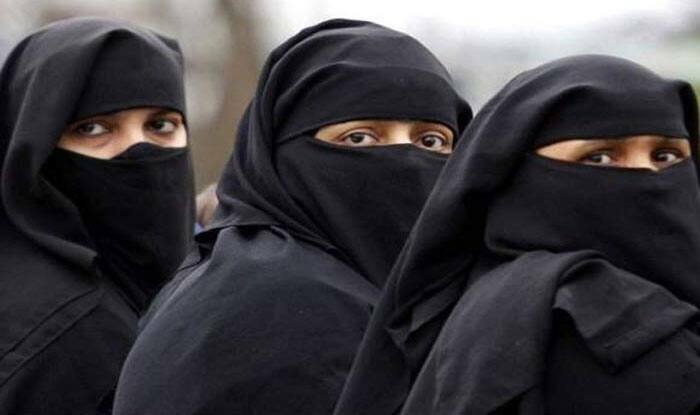 Citing details of instant triple talaq cases, the government earlier this month informed the Lok Sabha that till now 430 incidents of triple talaq have come to the notice of the government through the media. Of these, 229 were reported before the Supreme Court judgement while another 201 came to the notice after the ruling. As the Bill continued to face resistance in the Rajya Sabha, the government issued an ordinance in September, incorporating amendments. The Muslim Women Bill, 2018 would supersede an earlier Bill passed in the Lok Sabha and pending in the Rajya Sabha.